Welcome! I’m so happy to share my picture book debut with you. 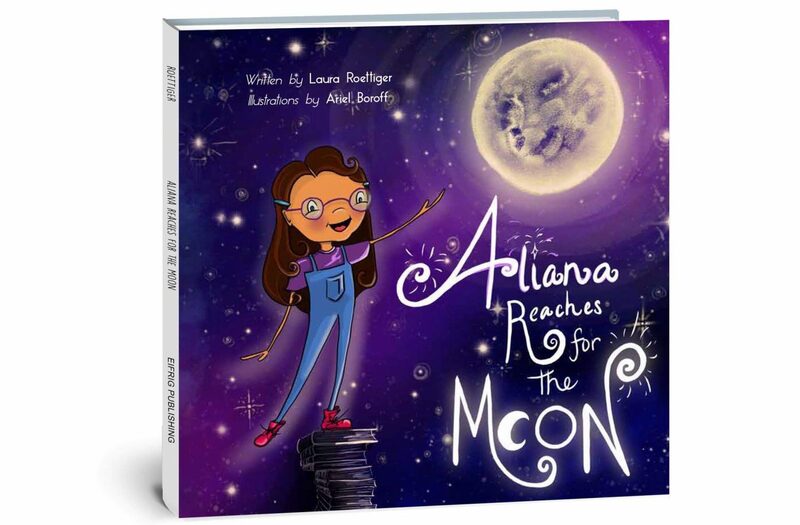 ALIANA REACHES FOR THE MOON released on 2/19/2019 by Eifrig Publishing. **In this charming STEM book, children will see how the light of the full moon inspires Aliana to create a present for her brother Gustavo, which will surprise the whole family. **Aliana loves observing everything in nature. When she notices how bright the light of the full moon shines into her room, she spends time learning about the moon and experimenting with light.